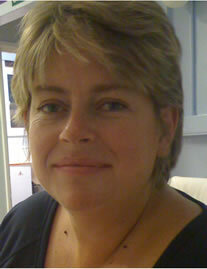 Let me introduce myself to you, I have worked and lived in Glastonbury as a letting agent for the last eighteen years. In this time I have gained a wealth of experience and knowledge and a good understanding of how the residential lettings process works and giving me the tools to provide a first class quality service to both landlord and tenant. I am a passionate and honest person who prides herself on high standards of customer care. Over the years I have let and managed many houses and these mainly have been with recurring landlords and tenants during my time. I have decided it is time to set up my own business and I aim to offer a high class professional and unique service which provides great value for money to both landlord and tenant along with a personal and efficient service. I do hope once you have visited my agency you will recommend Heritage Estates to others and I will be able to grow into a trusted, thriving and happy business. Thank you for your time and hopefully choosing me to let or manage your property.